Summer is finally here! 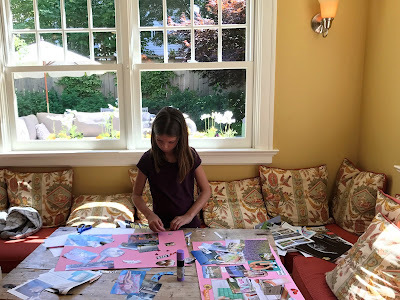 Sofia finished school last week (finally!) 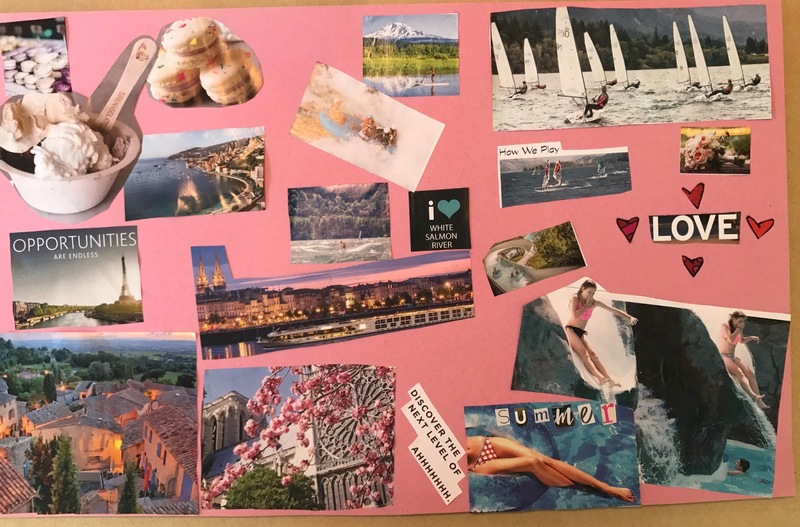 and one of our first activities was to make vision boards to get clear on our "hopes and dreams" for this beautiful season. If you haven't made a vision board before, it's a really fun and cathartic activity, to do alone or with others. Start with a clean slate - ala poster board in a fun color, a stack of magazines, scissors and a glue stick. Then breeze through the magazines tearing out images and words that resonate with you. Don't overthink it. Just start tearing and collecting. The next step is to edit. Go back through your chosen images and select the ones you want for your board. Don't worry that there will be a recycle pile of images you don't use. Or you can use them on the back, like I did on mine (see below). Then start cutting and arranging and gluing. Voila - you'll have a masterpiece in no time! In this day and age of digital information overload, it's really fun and therapeutic to go analogue! 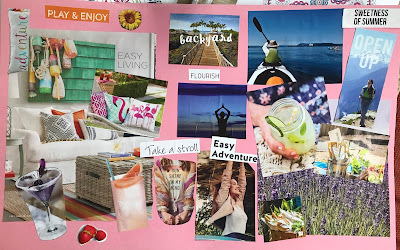 What do you envision for your summer? 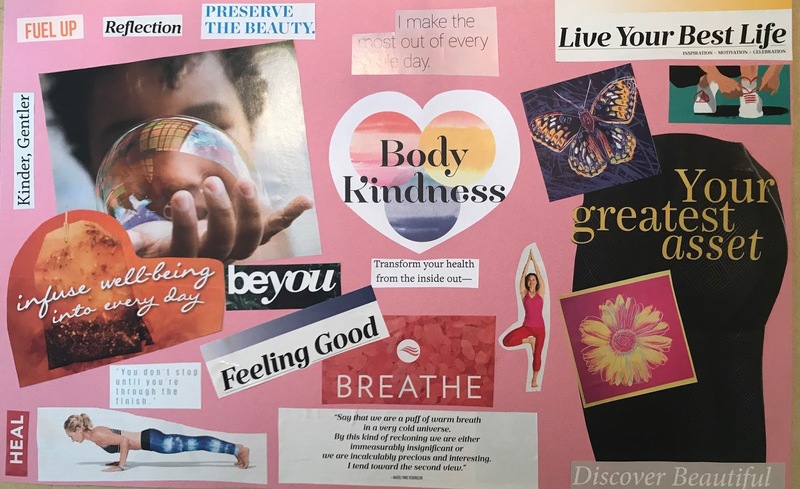 I've been telling everyone and anyone who will listen about my new favorite book, Body Kindness. It's so much more than a book - it's a concept and a movement that I'm really excited about! (More on that later.) For now, here is the back side of my vision board focused on Body Kindness. I encourage you to check it out here. Finally, you might be curious about how to use your vision board. Sofia's is on display in her room, and I use mine when I meditate. This morning after meditating I was inspired to write the following poem. Can any relate? Because all that really matters is that I am KIND. Take care of myself first, love myself hard, beach ready body isn’t that hard. It’s all in my head, really, who cares? Feel good, breathe, be free! Fill up with love and acceptance—change the game! Healthy and happy, kinder, gentler to ALL!